Angry Bird Star Wars Jam Jams! This Christmas I really wanted to make Cai some pajamas he would love! 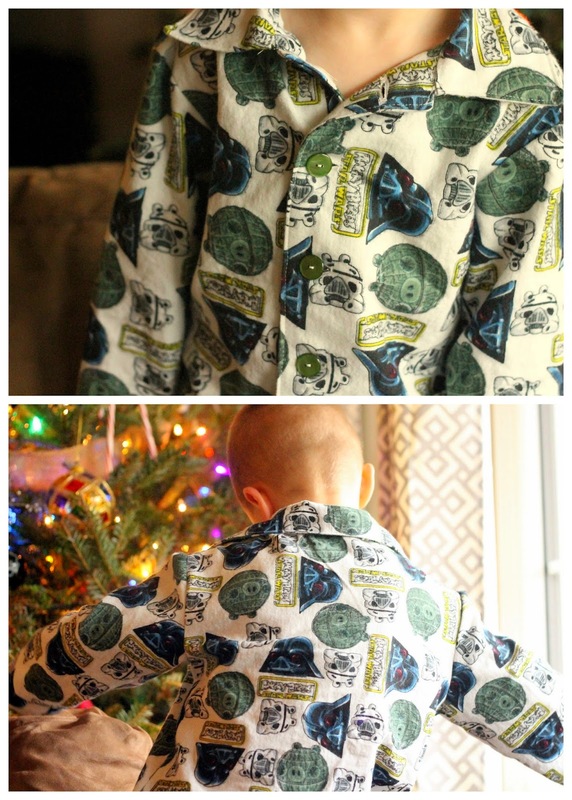 Angry Bird Star Wars flannel. Perfect! I don't think I have actually sewn clothing for anyone since earlier this year! So, this ended up being a super fun project for me! After I was done, he said, "But, Mommy, what about Judah?!" So back to my sewing machine I went figuring out how to draft him up some matching PJs with the small bits of leftover fabric and no pattern! Cai was ecstatic when he got some, too! I ended up not having enough to do another whole button down pj top, so I went with a raglan style. I didn't have a pattern, so I just roughly drew one up. If this was anything other than pajamjams, I would totally scratch it, but for pjs. It's just fine! The licensed fabric is from Jo-Anns and the grey knit is actually from Wal-mart! It's actually a super soft, almost velour type feeling knit. I can't wait to make myself something in it! The shoulders are funny for a raglan, because I had to gather a bit, which made them slightly feminine, in my opinion, but whatevs. It's a baby and he is adorbs! 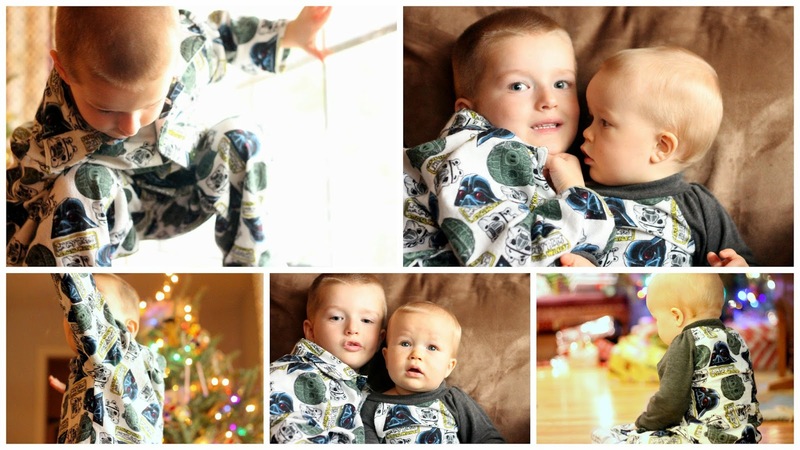 They are such sweet boys! I am glad they match this Christmas! It felt so good to sew! I hope you all have a Merry Christmas! XOXO!